1-539 - Smoker - 5H x 3"W x 3"D"
1-539 - Christian Ulbricht Incense Burner - Bavarian (Natural) - 5H x 3"W x 3"D"
This Bavarian Beer Drinker incense burner from Christian Ulbricht has a natural-wood finish popular these days. 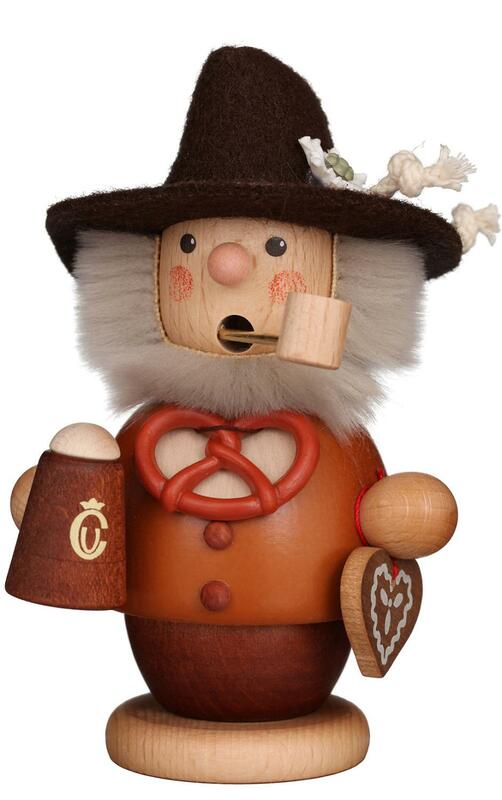 He has a definite German feel with his edelweiss - gingerbread and pretzel accessories! -made in Germany. (Use our item #005302X mini incense.